Some links below may have product provided or be affiliate links. 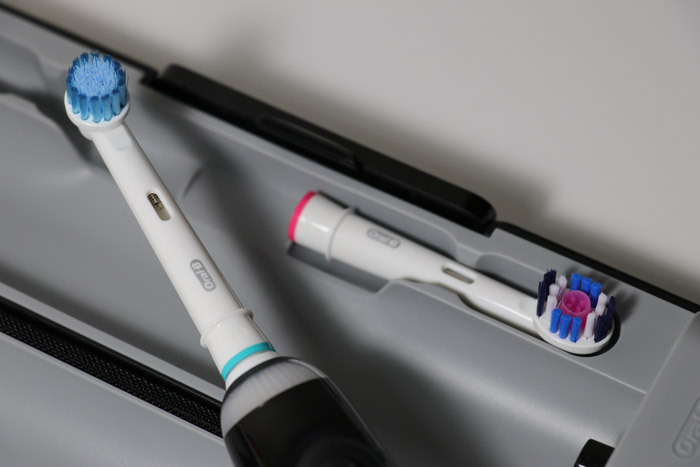 When it comes to gift giving, sometimes those over-the-top items are just perfect and so we were excited to test out the Oral-B Genius electric toothbrush. Never in my life did I expect to ever be the owner of a toothbrush that connected to my camera through Bluetooth so it could monitor my brushing pasterns, but here we are ... thanks Oral-B! At $249.99, this isn't the cheapest item on our gift list for guys but it is a perfect idea for someone who wants to combine smart home technology with looking great. Frankly, an electric toothbrush is a great gift for any guy since they can help get your mouth cleaner and easier with less damage to the gums. For instance, typically when you brush manually you are missing parts of the mouth - but the parts you get are typically twice the pressure that dentists recommend. The Genius comes with six different cleaning modes including: Daily Clean, Gum Care, Sensitive, Whitening, Pro-Clean, and finally a mode designed for cleaning your tongue. There are so many different options here that while this is clearly one of the most advanced tools for keeping your smile looking great ... it's also a heck of a lot of fun to play with. The fun is just beginning though since once you connect it to your smart phone it goes to an entirely new level. While we harp on kids for not brushing long enough, the reality is adults have the same issue. For those of you who want to really focus on best oral care, the Oral-B Genius 8000 mobile app is going to be a great tool to help you there. It's available for both Android and iOS devices. In addition to simply timing, it also reminds you to floss as well as clean your tongue too. You can also set a "Dental Care Journey" with goals such as whiter teeth for an upcoming wedding or other objectives such as Fresh Breath or Gum Health and the app will help guide you along the path. But wait ... there's more! 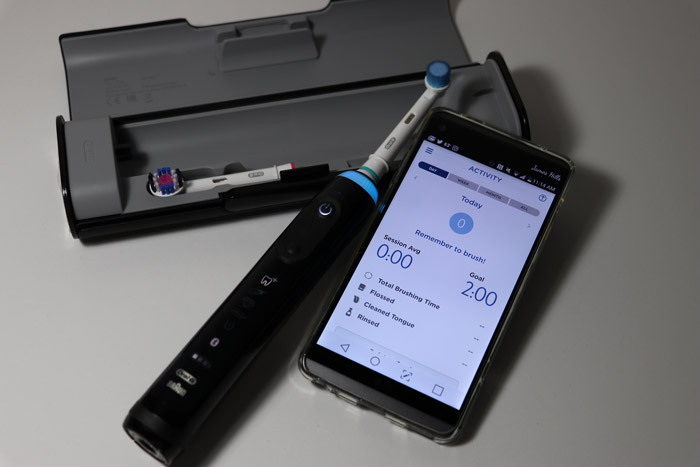 Your kit also includes a mount for the phone to use your camera to track positioning of the brush to ensure that you give adequate attention to all regions of your mouth. 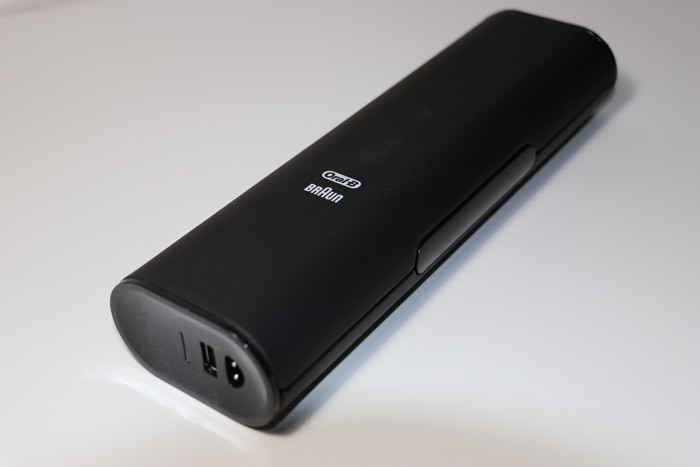 Last but not least, the Oral-B Genius 8000 electric toothbrush comes in a handy travel case that feels as good as it looks. 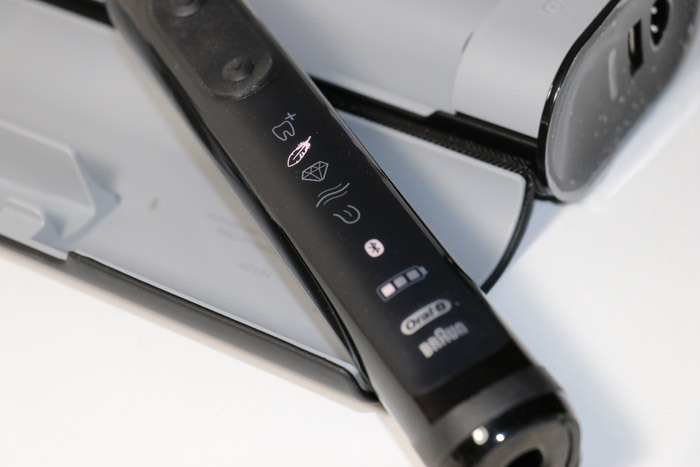 No more icky folded "travel brushes" or leaving your brush tossed into your dop kit. This is a classy experience all around. This is a great gift idea for guys on your list and you might even want to pick one up for yourself too!